Home » What is Gestalt? On this page, we share a few Gestalt principles relevant to the healing work of this ministry. You can jump to the sections below, or read about De’s gestalt journey first. How we use Gestalt principles in our coaching and healing work. and through the working of His Holy Spirit, we will each experience true Freedom! I felt, deeply sensed, that there was another way – a better way. One that was hopeful, vibrantly alive, and filled with authentic love and connection. I was ready, or more truthfully, desperate for it! I share more details about my story through a retreat talk, which you can find here, and through an article published in the Winter 2014 issue of Woman to Woman magazine, which you can find here. I had no idea of the healing journey the Lord was about to lead me on, which began by introducing me to the world of Gestalt Therapy. As I mentioned above, June 2009 marked the moment when I met myself, and most importantly, made the discovery that I actually have a relationship with myself. For the first 39 years of my life, this relationship unfolded in a completely unintentional way. My relationship with me was wrought with criticism, judgment, negativity, and unrealistic expectations. 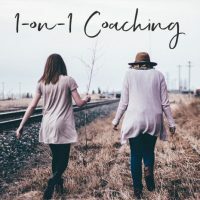 I was largely unaware of relating to myself in these hurtful ways and blind to the impact my poor interior relationship was having on my exterior relationships. 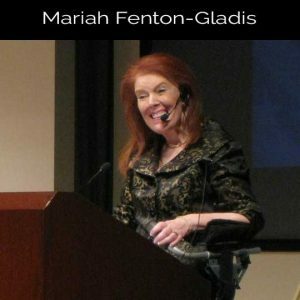 In 2009, I was introduced to Mariah Gladis and the life-changing power of Gestalt therapy (thank you Mom). Immediately after meeting Mariah, I joined her 3-year training program to become certified in Gestalt techniques and theory, and continue to stay involved with the Gestalt center today. While the full impact of my journey with Mariah is impossible to express in this space here, I will say that the greatest impact – the greatest gift – is that I’ve cultivated a loving, supportive relationship with me. (Being in loving relationship with oneself is a reality that Mariah calls “Arriving Already Loved.” Watch her TEDx Talk for more about that). I also learned how to guide others as they embark on their personal healing journey. With one crucial add-in, namely the Holy Spirit! While I’ve been doing this work now professionally for many years, I am continually awed by the healing and freedom that can occur in a relatively short time when we fully engage with our interior selves, exploring each nook and cranny by the Light of the Holy Spirit. On July 7, 2018, Mariah passed away. She had lived with ALS, commonly known as Lou Gehrig’s disease, for over 30-years. Throughout this time, Mariah was the loving guide for countless individuals on their healing journies. I am forever blessed to have been one of them. 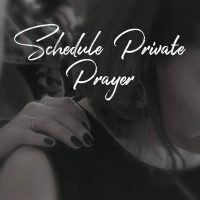 And in the months since her passing, I grow more and more convicted that the time is NOW for You Are Made New Ministry to prayerfully share the power of Gestalt techniques with as many individuals as possible. I hope you will join us for a healing retreat as we, together, create a legacy of love, healing, and personal transformation while standing upon the Truth and the Rock of our Catholic faith. “Gestalt to us is a principal. It is a way of living that values all of who we are: physical, mental, emotional, spiritual. We believe each part constantly interacts with the other to produce a whole person and that shutting down any one or all of the parts leads to an unhealthy life. Gestalt is an awareness. It is a style. Gestalt Principles are skills or tools we can use to help us keep on track. As a tool, Gestalt is used by trained professionals to help, support, coach and maybe even cajole the client to become aware of themselves and make good, healthy contact in the world with others, their environment, and most importantly, themselves. By working with clients in this way, Gestalt practitioners can get to the heart of the matter very quickly, helping us create solutions and new ways of thinking thereby freeing us of some of the excess baggage that we carry through life, and allowing us to be open to new experiences. “Gestalt work is fundamentally and radically holistic, giving lively attention to the exquisite interrelationship between emotions and the body.” Fritz Perls, founder of Gestalt Psychotherapy. 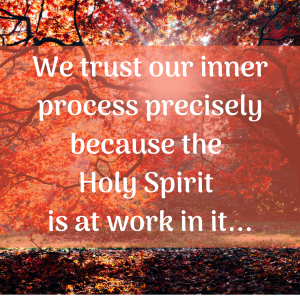 We go one huge step further by including the spirit in this “exquisite interrelationship,” and by calling upon the Holy Spirit to guide the growth work. Feelings of dissonance or discomfort are often God’s inner nudges, pointing us to, should we agree to look, a “separated” part of ourselves that is ready to be integrated into the whole. For example, a woman may say yes to a request and immediately feel overwhelmed or resentful. Together we explore her pattern of saying yes when she wants to say no, meeting that part of herself who was told to “be a good girl” or to “stop making trouble.” Prayerfully, we give this part necessary expression (perhaps just experimenting with what it feels like to say “No!”), and invite her to find peace and healing through the Lord’s love. 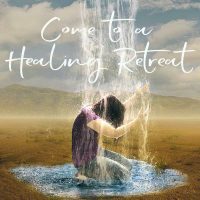 Our unique healing approach is a Holy Spirit led blending of Gestalt principles with coaching techniques and, most importantly, prayer. We consider the individual’s whole experience. We pray and look with a holistic lens, not only listening to the individual’s words, but also observing physical movements, body language, facial expressions, noticing any shifts and patterns that may occur. We offer ‘experiments’ for an individual to try on new behaviors, new perspectives, new language, or to allow emotions to play out, expanding our comfort zones in service of learning and growth. We respect any resistance that may arise, bringing it into the individual’s awareness and inviting Jesus in to guide us forward, through prayer and visualization.